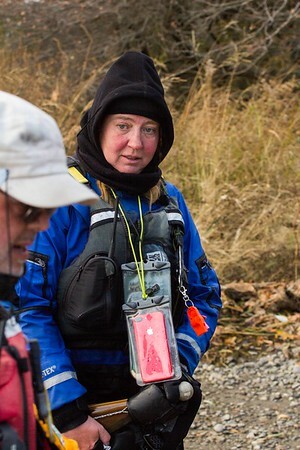 Traci Lynn Martin, speaks to members of her crew after stopping on Grand Island for the night. She an her "Just Around the Pointe" expediton are attemping a world record for circumnavigating the Great Lakes. She suffers from Rheumatoid Arthritis and is on a mission to she that people can still dream and reach for their goals.